For anyone who has ever visited Las Vegas will know, entertainment options are a plenty. Everything from live shows from top performers like Britney Spears and Celine Dion to spectacular magic shows by David Copperfield and Criss Angel to dramatic live events such as Cirque du Soleil is available for the millions of tourists that visit the city annually. However there is one notable absence, with no recognized sports team in any sport playing in America’s entertainment capital. Plans to build an NHL expansion team in the desert were scrapped early on by the league whilst the NFL has expressed on several occasions its opposition to a team based in Vegas due to its feelings towards sports betting. 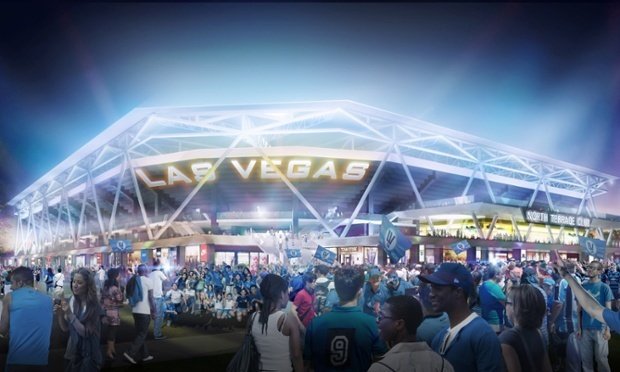 But now there is hope on the horizon that Las Vegas may eventually be home to a soccer team that will play in the MLS. The MLS2LV movement was started by local resident Justin Findlay whose family moved to Vegas over 50 years ago and set about creating one of the largest automotive retailers in the US. Now Findlay has turned his attention to soccer and created the Findlay Sports and Entertainment Company with the sole aim of it to bring an MLS team to Las Vegas by 2017. Findlay’s argument is that Las Vegas is underutilized when it comes to leisure activities for residents and that it makes little sense that Las Vegas is the highest populated city in the US without a MLS team. With a population of 2.1million permanent residents and supplementary tourist traffic in the region of 40million per year, he has a strong argument. Added into this, the city has a strong soccer following given that a large cross section of its residents are of Hispanic origin, hailing from other soccer mad countries like Mexico and Colombia. 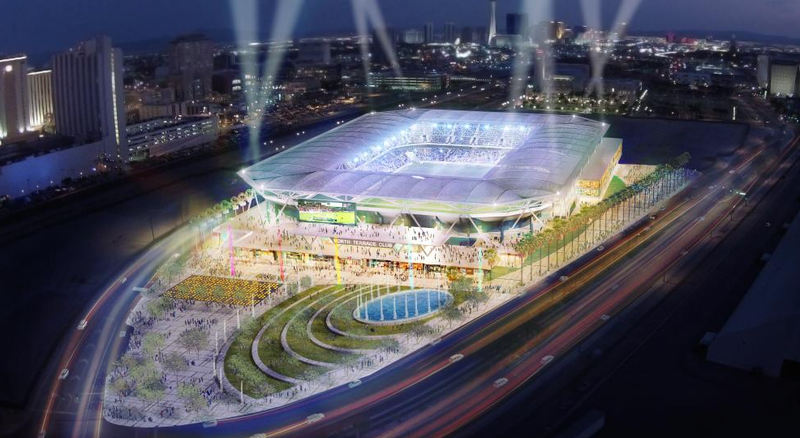 The MLS2LV movement has taken some significant steps in recent months including gaining city council initial approval on plans by 6-1 to construct a 19,000 to 24,000 seat, $200million stadium right in the heart of the city. The next step is to secure the funding with initial plans to seek public funding scrapped by the council in favour of private investment. The Findlay group now has two months to come up with the funding and present it back to the council for final approval. The deadline given by the council works well for Findlay and his potential investors as he will need to secure the stadium before making a formal bid to the MLS for one of the 2017 franchise options. He will face stiff completion from other cities such as Austin, Minneapolis and Sacramento who are all looking to start an MLS franchise. But Findlay is confident as he knows that the MLS has ambitious long term plans to build the league up to 24 teams by 2020 with Atlanta, New York City FC, Orlando City and the David Beckham run Miami franchise already confirmed. 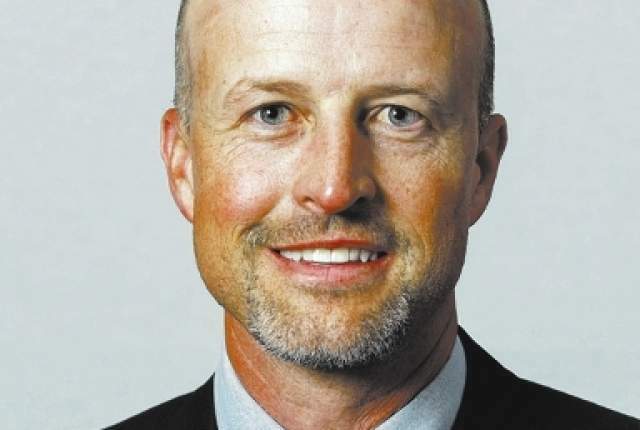 Executive vice president of communications for the MLS Dan Courtemanche has stated that he is looking forward to seeing all the bids and that there is no shortage of demand for that final MLS expansion team spot. Findlay will be hoping that his team can grab that spot and finally end Las Vegas run of having no major sports team in the city. Next Entry A Changing Of The Guard In Scottish Football?